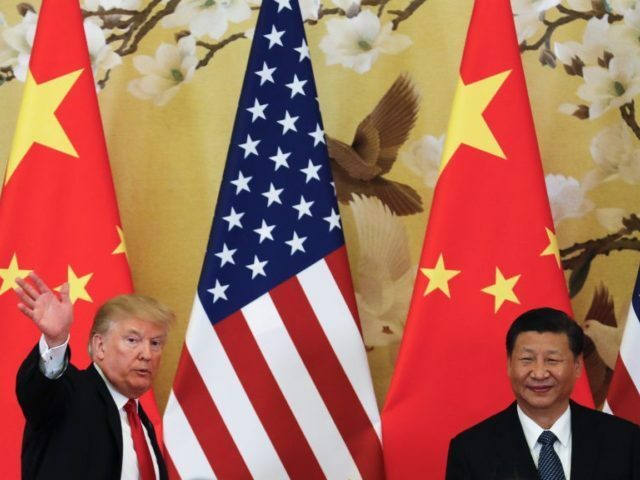 President Donald Trump said Wednesday he is considering a “fine” against China as part of his administration’s probe into China’s alleged theft of intellectual property. The comments, made in an interview with Reuters, appear to signal an increased willingness to take retaliatory trade action against China. The U.S. launched a formal investigation this summer into allegations that China facilitates the theft of U.S. technology and intellectual property, in some cases forcing U.S. companies into delivering technology into Chinese hands as a cost of doing business. Under U.S. trade law, the administration can impose retalitory tarrifs and other trade sanctions against China if it concludes China is engaged in wrongdoing. Earlier reports from the U.S. government found China to be the worst infringer of intellectual property rights in the world. Gary Cohn, the president’s chief economic adviser, told Reuters that the U.S. Trade Representative, who is directing the investigation, would be making a report and recommendations to the White House soon. “We have a very big intellectual property fine going, which is going to come out soon,” Trump said to Reuters. Trump downplayed the risk of a full-scale trade war with China.